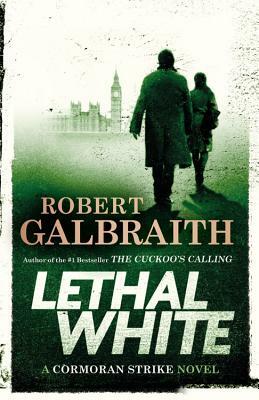 Lethal White (A Cormoran Strike Novel) (Hardcover) | Eagle Harbor Book Co. I eagerly awaited the next Cormoran Strike thriller like the kids who queued up for days to get the latest Harry Potter book, and was not disappointed! When a case involving the blackmailing of a prominent member of the House of Commons turns from bad to murder, Cormoran and Robin are drawn deeply into the convoluted lives of the titled and infamous. Predictably populated with complex characters, a full barrel of red herrings, possible art forgeries and a colorful array of London pubs, Rowling's latest thriller is an absorbing and thoroughly engrossing read!